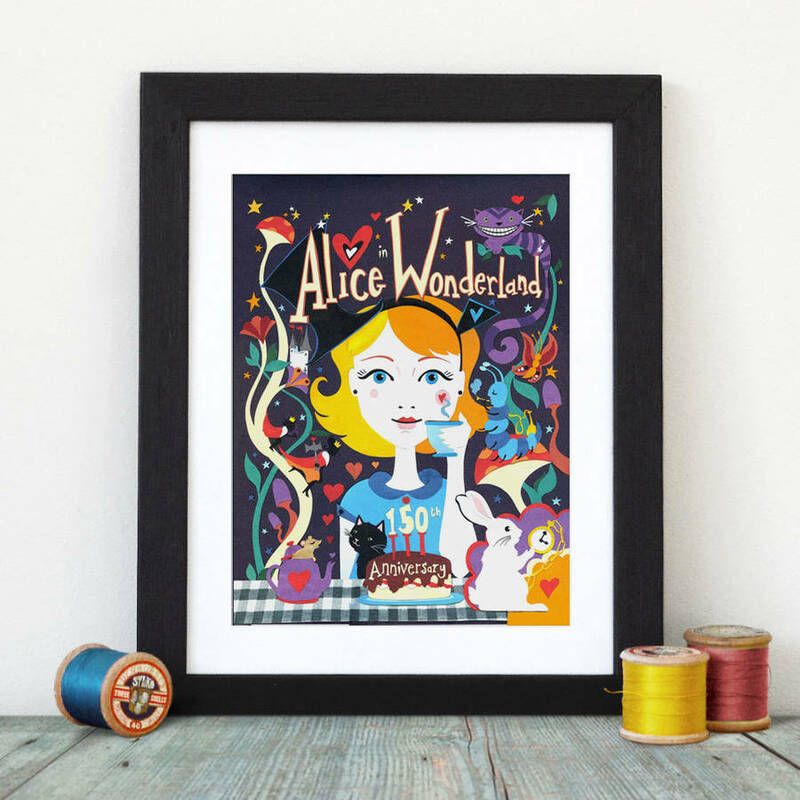 Brightly coloured and magical Alice in Wonderland Art Print inspired by the famous childrens favourite. 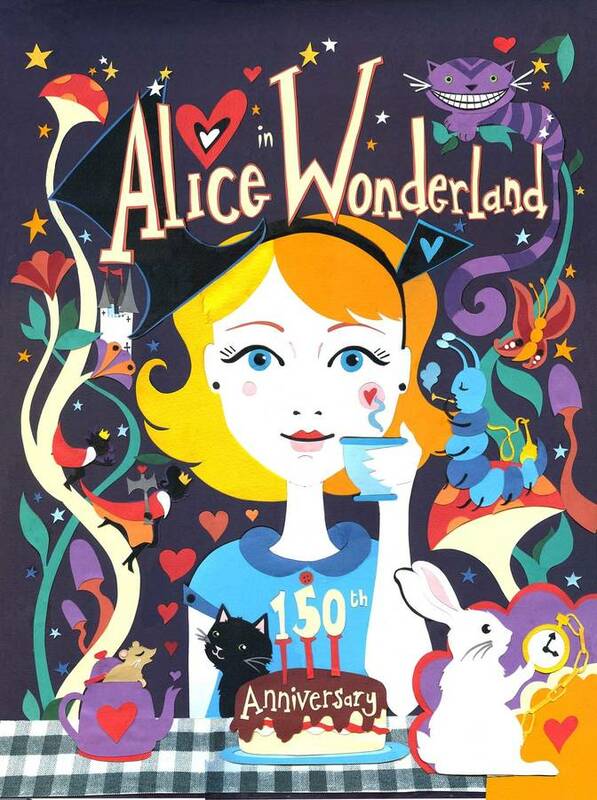 This magical Alice in Wonderland illustration celebrates the 150th Anniversary of this childrens classic. The design contains many of the important characters; spot the white rabbit, the Queen of Hearts, the snooty butterfly, the Cheshire cat and of course Alice herself. As you'd expect for Alice in Wonderland, the illustration has a psychedlic and trippy feel to it full of bright colours and retro elements. There are so many details in this piece to spot it makes a great piece of art for kids or adults alike.